NCLEXReviewers.com was develop for all nurses wanting to pass the NCLEX Examination in hopes of obtaining nursing employment in the United States of America. Its primary goal is to prepare the candidate(s) with all the necessary lectures and review materials needed for the NCLEX Examination. 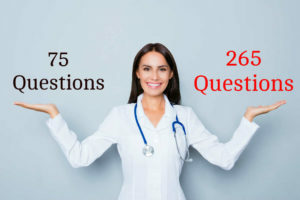 It is also aimed to provide a compilation of questions that cover almost all of the topics of the NCLEX Examination.